The Jabberwocky by Lewis Carroll is a classic nonsense poem found in Through the Looking-Glass and What Alice Found There. (1871) This is considered the best nonsense verse written in the English language. This lesson will introduce your students to the Jabberwocky while reinforcing grammar skills. Identify the various parts of speech in the poem "Jabberwocky" such as; nouns, verbs, pronouns, adjectives, adverbs and prepositions. "It seems to fill my head with ideas — only I don't know exactly what they are." Alice concluded after she heard the poem, and your class will to. After reading the poem slowly to the class, ask the students what they think is happening. You are bound to receive some very on target responses. Then ask how they knew that, since the words do not all make sense. Explain how reading even a nonsense poem can be deciphered when the main action words are intact. The rest of the language, the adjectives and verbs and supplementary nouns can be changed without losing the storyline. Go through the poem together and identify various parts of speech. See if the class can determine all the nouns, then scan the poem for all the verbs, adjectives, adverbs, pronouns. Introduce the class to the word “portmanteau." Webster's Dictionary defines portmanteau as a word or morpheme whose form and meaning are derived from a blending of two or more distinct forms. It is also another word for a suitcase. 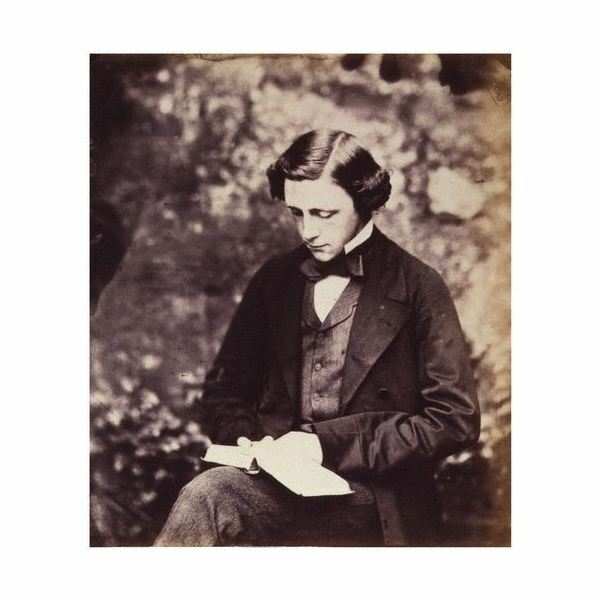 Lewis Carroll referred to many of the words in the "Jabberwocky" as portmanteau, because they collapsed onto each other, like objects in a suitcase. Some of his portmanteau words have even been incorporated into the English language. Have the student’s pair up and read a section at a time together. Underlining all the words that they do not know. Let them look up the underlined words in their dictionary to see if the word is in there. If not, they can circle it. The circled words are the portmanteau words. Have them try to determine what two or more words the portmanteau word could have been created from. With the help of their new knowledge of portmanteau and a thesaurus, let the students alter the poem. Explain that you expect the cadence of the poem to stay intact. Allow for creative interpretation and a fun read aloud time at the end of class.